Welcome to The Botox Party! 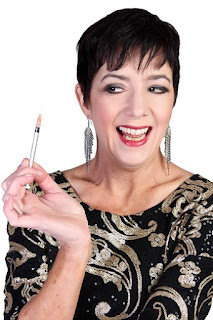 Here you are free to Botox your face to a standstill, over-medicate on whatever the doctor is prepared to give you, and drink ‘til you fell oooh so much better. The Botox Party is a light hearted look at ageing and all the challenges it presents. You are bound to walk out embracing your “maturity” with at least one more laugh line ... but nothing a little botox can’t fix.